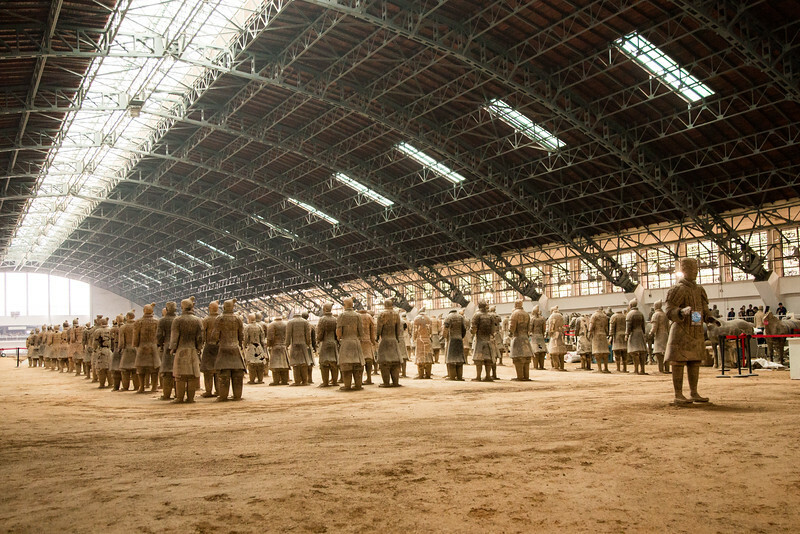 Terracotta Army (Terracotta Warriors and Horses) in Xian - Jonathan Look, Jr. Discovery of the Terracotta Army (Terracotta Warriors and Horses) near Xian, China is one most significant archeological finds of the 20th century. Each unique, life size, terracotta figure, arranged in battle formation are believed to be modeled after actual persons. Work is ongoing at the site and it is estimated only half of the statues have been unearthed.